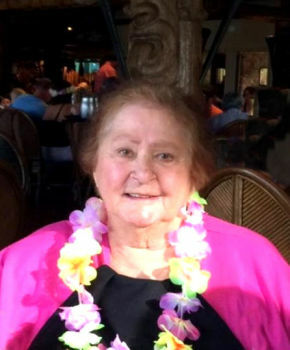 Josephine Jean (Riggi) Malure, age 90, of Fair Lawn, NJ passed away on Friday, February 8, 2019. Born and raised in Passaic, NJ, she resided in Fair Lawn for 50 years. She was a parishioner of St. Anne R.C. Church in Fair Lawn. An avid reader, Josephine also enjoyed crocheting, cooking Sunday dinners and spending time with family who she loved immensely. Prior to retiring, she was a waitress with Friendly’s in Fair Lawn. Beloved wife of 60 years to the late Robert Malure. Loving and devoted mother of Barbara Hrabovsky and husband Joseph, Robert Migliore and Michael Malure and wife Carol. Cherished grandmother of JoAnne, Joseph, Brittany, Nicholas, Matthew, Leanna, Christine and Yvette. Dear sister of Salvatore Riggi and the late Lillian Gloede and sister-in-law of Patricia Walden. The family will receive relatives and friends Monday, February 11, 2019, 4-8 pm at Vander Plaat-Caggiano Funeral Home, 13-31 Saddle River Road, Fair Lawn, NJ. A funeral service is planned for Tuesday, February 12, 2019, 10:30 am at the funeral home. Entombment will follow at George Washington Memorial Park in Paramus. In lieu of flowers, donations in memory of Josephine to the VA NJ Health Care System – East Orange Campus, 385 Tremont Avenue, East Orange, NJ 07018 would be appreciated. Please write “restricted to Mental Health Services” in the memo line of the check.